What a prayer suggestion for Valentine’s Day! Lo and behold, another surprise. My prayer suggestion for the day was to write a note of consolation and support for someone who has lost a dear one in death or is presently suffering some tragedy in their life, and let them know that God loves them. My goodness . . . not exactly a cheery thing to do on Valentine’s Day. A dear person immediately came to my mind. I had purchased several cheery Valentine’s Day cards yesterday for several lonely people. Accordingly (I peeked at today’s suggestion a day ahead of time), I also chose a card for this dear one. A number of months have passed since my friend lost a close relative to serious illness. I had been thinking about this dear one several times in the past week or so, and I knew without a doubt that this was why I had been mentally nudged. Because I needed to write this card. I’ve served as a chaplain for most of the last ten years. I know that significant holidays sometimes are poignant reminders of recent deaths. Even, not-so-recent deaths. Valentine’s Day might not seem so significant at first . . . but if you think about it, you might change your mind. 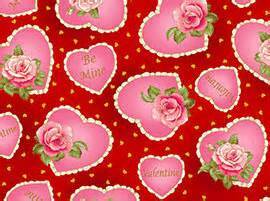 Consider an elderly parent who—without fail—sends their adult children a sweet Valentine’s Day remembrance each year. Until they are gone. Or, think of a significant other or spouse who remembers their loved one with a romantic Valentine card each February 14th. Until they can’t any longer. Or, what about a growing child, become a young adult, sending their parents a loving Valentine’s Day card wherever they are, in whatever part of the country they happen to be. Until they have an untimely death. So, I wrote a cheery, thoughtful note on this pretty Valentine’s Day card I bought yesterday. And, I closed with the reminder that God is caring for this dear one and keeping them safe within God’s loving, everlasting embrace. Dear Lord, please be with all who mourn today, and all those who are missing someone near and dear to their hearts. Extend Your arms of comfort, care and encouragement to all of these dear people, today. Including several of my friends, Lord. In Your mercy, hear all of our prayers. Amen.